You are in for a treat this summer Swansea as we welcome the BIGGEST line-up of events in Wales. 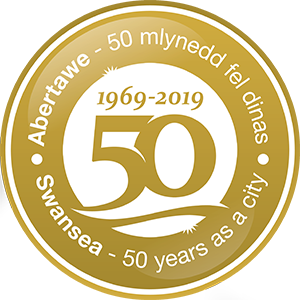 The Wales Airshow, BBC Music’s Biggest Weekend, Little Mix and The Killers at Liberty stadium, and Now the Hero all highlight why Swansea is positioned as Wales’ Capital of Culture and a city capable of attracting and delivering world class entertainment and events. Explore our site to discover plenty of ideas to keep the whole family entertained from May right through until October. You will find that there are planned activities for when it rains and adventures for when the sun shines. There are plenty of FREE events too! Follow us on Twitter, Facebook and Instagram to make sure you get the latest news as it happens. This summer’s BIGGEST stage will kick-off with the most exciting live music event. BBC Music in partnership with Swansea Council brings you two days of spectacular performances. Singleton Park will come alive with big names such as Ed Sheeran, Taylor Swift, Jess Glynne and George Ezra to name just a few. Our breath-taking Wales Airshow returns to Swansea Bay on 30 June. Attracting over 200k spectators to Swansea Bay each year, make sure you don’t miss the stunning aerobatic displays from state-of-the-art military aircraft and vintage planes from the past. This year the RAF is celebrating its 100 year anniversary so come along and be part of their celebrations. The Killers are coming Swansea this 23 June live at the Liberty Stadium! One of the biggest rock bands of this century, The Killers have sold over 25 million records worldwide and picked up numerous accolades at the NME awards, BRIT awards and more. Little Mix are coming to Swansea this 7 July with their Summer Hits Tour 2018. One of the world’s biggest girl bands, the multi award winning Little Mix will be performing some of their greatest hits including Shout Out to My Ex, Black Magic, Touch and many more. The Admiral Swansea Bay 10k returns this September! Fresh from being named the 2nd Best 10k in the whole UK in The Running Awards 2017, the Admiral Swansea Bay 10k will be returning bigger and better than ever. 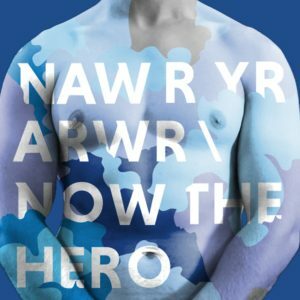 Now the Hero is an epic, large-scale site-specific performance intertwining stories of conflict via a military offensive, a raucous wedding party, a protest dance and an ancient wake. This theatrical experience will take audiences on an extraordinary journey through three narratives of war; from the beautiful Swansea Bay beach to discovering artistic treasures in the city’s iconic Brangwyn Hall.